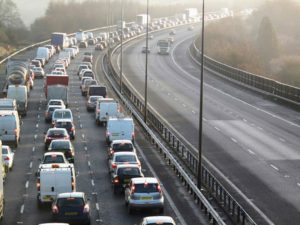 New government data shows drivers suffered an increase in delays on major A-roads and motorways in England in 2018. The Department for Transport (DfT) figures show the average delay in 2018 on the strategic road network increased 3.9%, giving an average speed of 59mph; down 0.6% on the previous year. Meanwhile the average delay on A-roads was up 0.8%, with an average speed of 24.9mph, down 1.3% on 2017.